There are countless life insurance companies, but only a handful are in a position to possibly weather the storm on the horizon. The life insurance industry has come a long way since the days of the door-to-door salesmen who collected premiums every week, and the big players have grown into multi-billion dollar conglomerates with ties to every facet of the financial sector. However, today’s consumers are smarter and more sophisticated, yet lack the loyalty of previous generations. With the introduction of the Internet, and the ability to get quotes from multiple companies and buy policies without ever actually talking to a licensed agent, the industry’s big dogs have had to re-evaluate their positions. Being a household name is not enough anymore, especially considering that today’s consumers are typically focused on one thing: price. 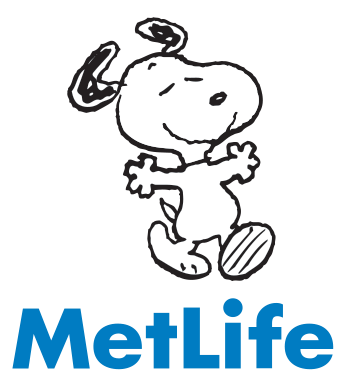 Smaller insurers who would otherwise disappear in the shadow of behemoths like MetLife and Genworth Financial Inc (GNW) have become, collectively, a force to be reckoned with. It’s no secret that big companies move slowly, especially when it comes to adapting to changes in technology. Potential customers have been poached by newer insurers quicker to take advantage of the latest technology, particularly online sales and marketing. With lower operating expenses and a progressive attitude toward remaining on the front lines of the technological revolution, competition in the life insurance marketplace has become dangerously cutthroat. Moody’s Corporation (MCO) cited “persistent high unemployment and fiscal tightening” along with “potential sharp tax increases” as some of the more obvious threats to the future of the industry. But, what will happen to the companies that now hold top positions in the sector, the household names that have been around forever? How long can they survive amid an increasing number of tiny, yet lethal competitors, all fighting for a shrinking amount of consumers' disposable income? The writing is on the wall, and has been for quite some time. Insurance companies have realized they can no longer be everything to everyone. They’ve dropped the Jack-of-All-Trades perspective and begun the shift back to singularity. Focus seems now to be on shedding less profitable divisions and returning to core strengths. 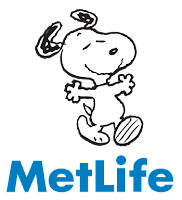 For example, last month, MetLife announced the completion of the sale of its banking business to GE Capital, nearly 18 months after first putting the division on the chopping block. During that period, the bank’s deposits dwindled from $9.3 billion to $6.4 billion. That same week, Genworth announced plans to spin off its mortgage division in an effort to stop the bleeding that led to $477 million in operating losses. As the insurance industry continues to cannibalize itself, each company amputating underperforming parts to remain profitable, how long will it be before there’s nothing else left to lop off? Who will remain standing when the competition has grown too fierce and profit margins have been sliced beyond recognition?